Kevin and I stayed in the Marais neighborhood, and, in our humble opinion, was a great location to get just about anywhere in Paris. With its numerous cafés, brasseries and boutique shops, it’s an easy place to fall right into the scene. 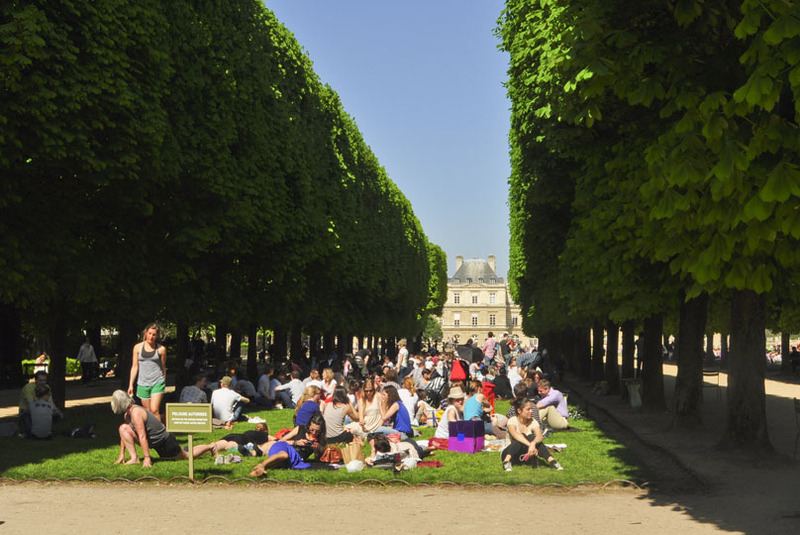 We spent most of the three-day getaway walking around Paris, taking pleasure in the city’s cafe culture and wandering through its beautiful gardens and parks. Just about every flower and tree was in bloom. We also spent one day touring the Palace of Versailles, which you can read about in another post. 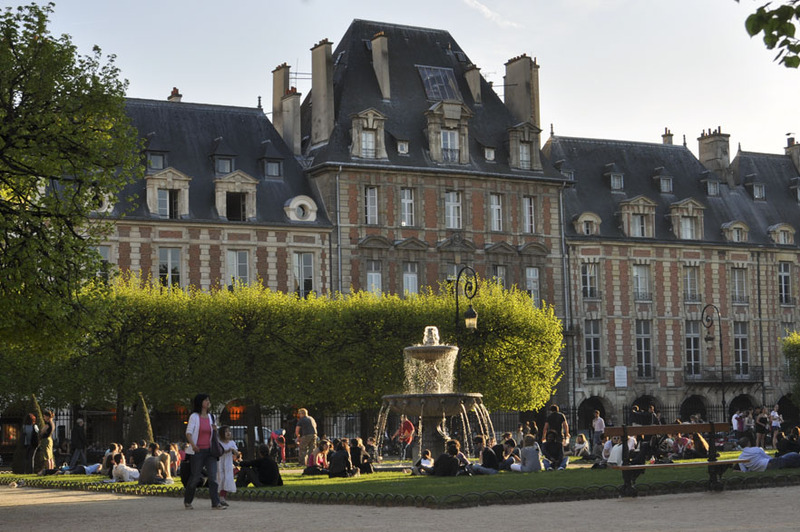 This perfectly symmetrical square, Place des Vosges, is one of the oldest in Paris. It was designed by Henry IV and was once a chosen site for duels. Today, the square is simply enjoyed by the locals and k&mk as well. We made one museum stop to the Musée de l’Orangerie to view Monet’s water lilies—eight of the approximately 250 paintings are displayed in the two oval rooms specifically built for this collection. They are breathtaking to see in-person. 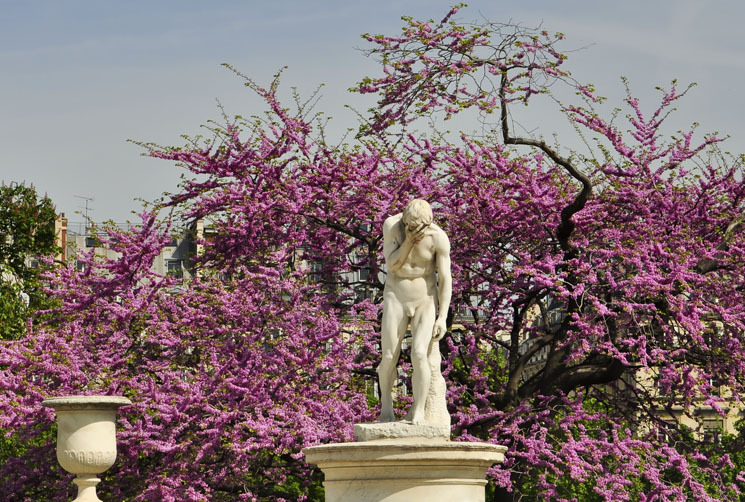 This entry was posted in France and tagged April in Paris, Luxembourg Gardens, Marais, Paris, Place des Vosges. Bookmark the permalink. Oh, the beauty of spring! 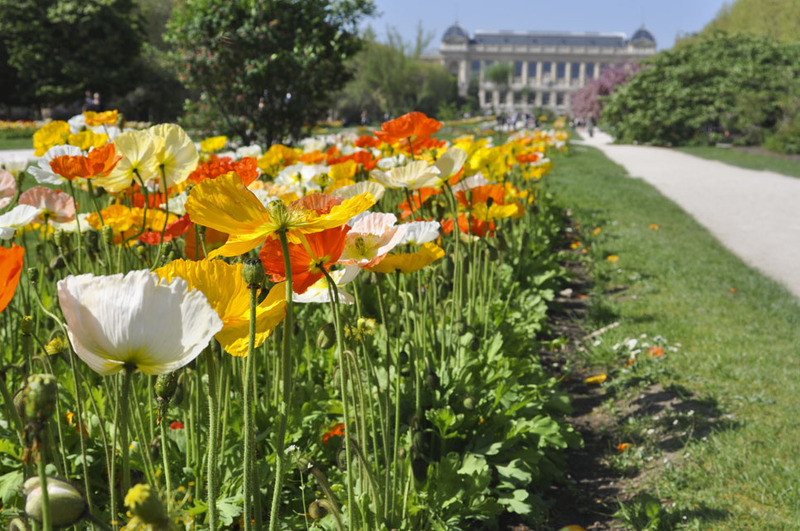 Luxembourg Gardens looks spectacular! What wonderful pictures! Thanks, Mom! It certainly was beautiful. Wow…does it sound like you two are having a great time and capitalizing on all that London and the surrounding areas have to offer. We miss you but are so thrilled to learn that your adventures are amazing and memorable. 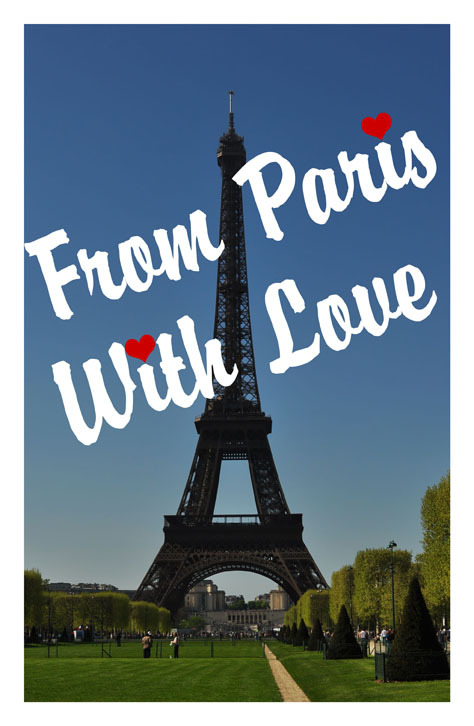 I love the idea of the blog and you documenting your travels. 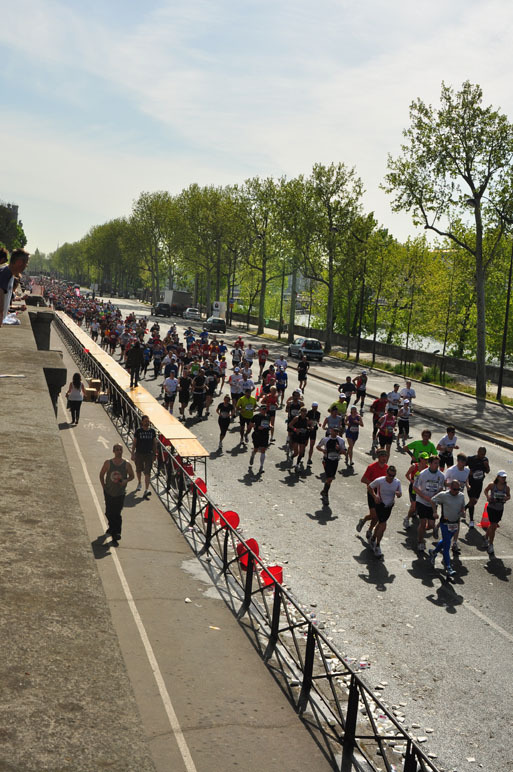 Paris in the springtime…hard to top that trip! Take care and be well. Thanks, Kristin! We are trying to see as much as we can. The sunshine in Paris was amazing! We miss you all as well. Heard you had a great time in Cabo.